On March 2nd, the impressive Middle East Electricity Exhibition began at the Dubai International Convention and Exhibition Center. The show was holding for three days and it was the most comprehensive solar show in the Middle East, providing an unrivalled opportunity to see the latest developments in solar. EverExceed Corporation brought the newly developed Freedom Series inverter and RMI Series inverter, as well as high-tech High DC Voltage system to meet with all the customers in the region, which makes EverExceed become a very beautiful landscape on the show. During this exhibition, more than 350 clients visited EverExceed booth and showed great interest in EverExceed newly developed inverters and High DC Voltage system. These customers consist of owners, EPC, power design companies, investment companies and so on. Combined with the characteristics of high summer temperatures and wind in the Middle East, EverExceed sales team introduced their intelligent inverters, high quality solar panels and batteries with excellent performance to the exhibitors to resist wind and high temperatures. EverExceed Inverters with IP65 protection grade, can resist wind and sand effectively, and have excellent performance at high temperature. EverExceed also can supply solar energy solution with high generating capacity, reliability and easy installation. Furthermore, EverExceed can supply a wide range of lead acid batteries, nickel cadmium batteries, nickel iron batteries, and lithium batteries to perfectly meet customers’ needs. Under the professional introduction of EverExceed exhibitors, many customers had great interest in EverExceed power products and placed order immediately. EverExceed’ mission is to “Supply worldwide reliable power solutions with continuous innovation”, which is also the cornerstone to make EverExceed toward the world. 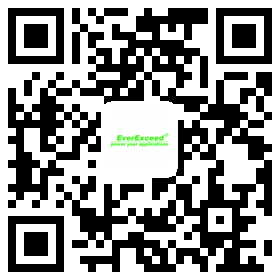 In recent years, more and more customers choose EverExceed and feel the real value brought by EverExceed. Believably, EverExceed will be more and more significant in the Middle East market, even in the global market.